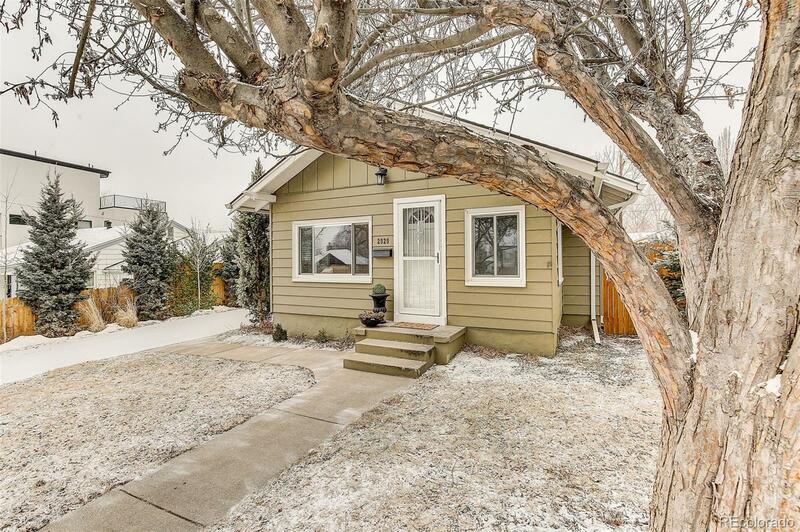 Beautifully appointed 3 bedroom, 2 bath home in East Wheat Ridge. This charming 1918 ranch has stylish marble and granite upgrades in the kitchen and baths, roomy bedrooms and living room, new roof and gutters, ground floor laundry, and plenty of storage. The basement offers a private suite with its own 3/4 bath. In back you will find the best garage in the area: over 870 square feet, insulated and heated with overhead doors on both sides. Thoughtful landscaping in both front and back. Easy access to Edgewater, Highlands, Sloan's Lake and I-70. With so many hard to find features in a no compromise location, this home represents a one of a kind opportunity in one of the best city-close neighborhoods.